Heroes of the Monkey Tavern is retro to a fault. 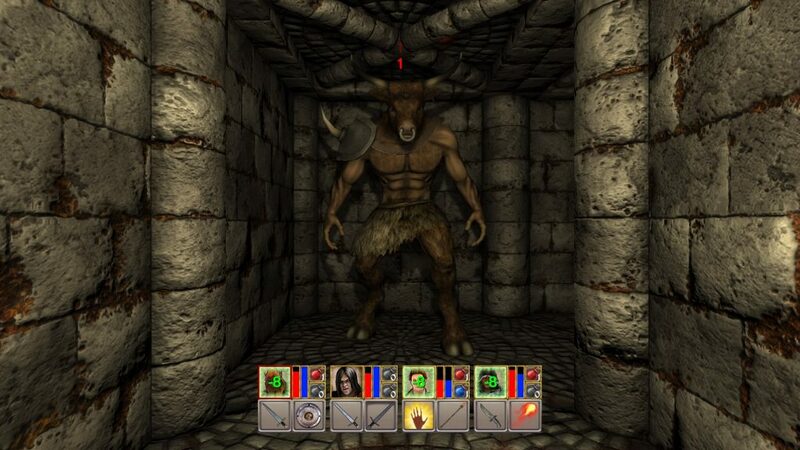 Taking cues from PC dungeon crawlers of yesteryear this looks like a homage to games like Might and Magic or Dungeon Master and is all about exploring those dungeons. You take control of a group of four heroes who, after a night of drinking, decide to go explore a new dungeon, the plot isn’t the draw here. Before you start out you get to choose your heroes from the standard fantasy range, so you’ve got priests, warriors, thieves and paladins. You also get to allocate skill points and choose a portrait for your heroes. Once this is done it is off to the dungeon. Now there are a couple of things I noticed about Heroes of the The Monkey Tavern from the start. The first is the fact the graphics look pretty poor, both in art design and colour pallet, and the second thing was the staggering amount of controls to deal with. Given these two things the game doesn’t make a good first impression and it took me a good while to warm to it, but warm to it I did. Now for any one whose not played a dungeon crawler before they are pretty unique in style. 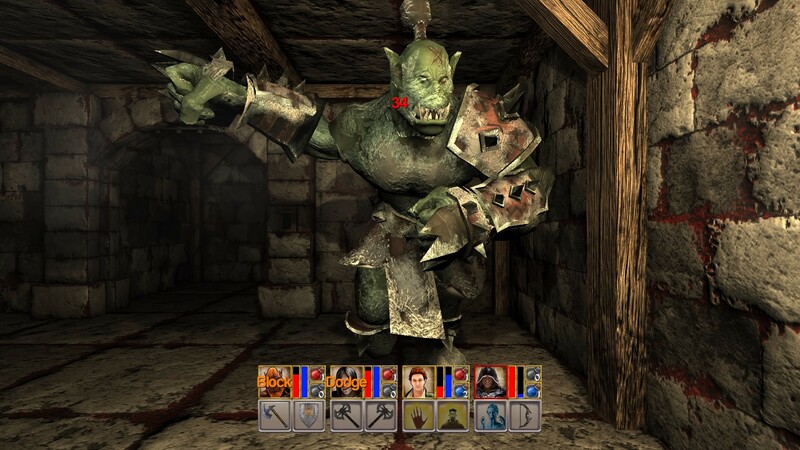 The action takes place from a first person point of view and movent around the dungeons is done on a grid basis. Pressing up on the d-pad will move you forward one square, pressing left or right will strafe you one square left or right, with your view always being face forward. To pivot your view you’ll need to use R1 and L1 to turn 90 degrees. On top of this you also need to look after four heroes, manage two assigned attacks for each and keep an eye on two potion slots. There is an awful lot to get to grips with. 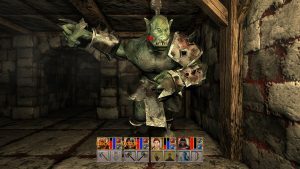 The action sees you navigating a dungeon opening doors, finding loot and fighting enemies. 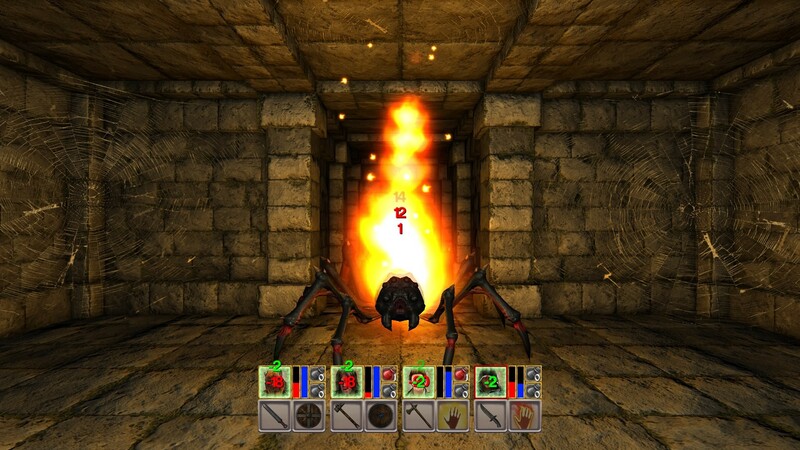 All these elements come together really well and make for very compelling dungeon crawling. 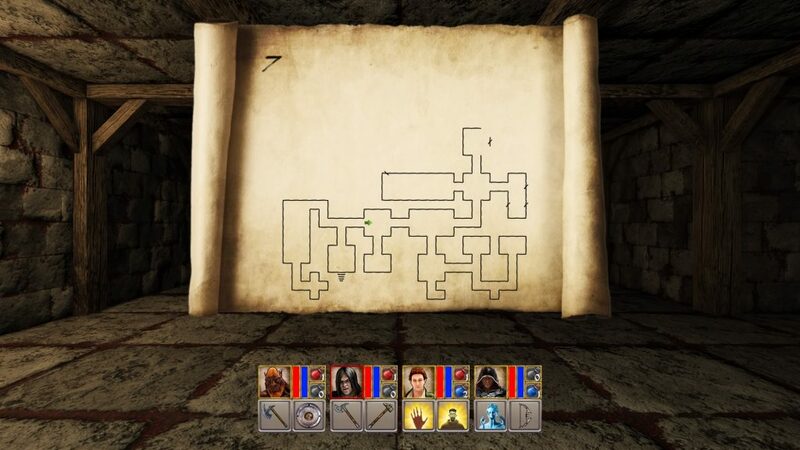 There is a great sense of exploration to finding your way through a dungeon, and the way the map draws in as you explore really plays up to the paper heritage of these style of games and was something I found very effective. The dungeon is split into floors and generally speaking each floor is punctuated with a boss fight, defeating these will grant you access to the next floor. Very few of these bosses stood out for me but there were a couple which demanded new combat approaches to be considered, and these were very interesting to fight. 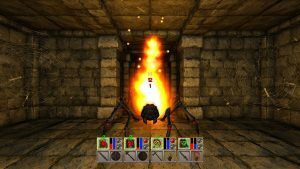 The dungeons are also littered with traps and while these were your standard spikes or fireballs the way they were used was intelligent and fun to experience. The normal enemies you face off against are certainly difficult to deal with, but mostly felt like damage sponges. The real action and skill in combat comes from managing your four heroes. Combat is in realtime so it all needs to be done efficiently to ensure victory. The two attacks of each hero are mapped to the X and O buttons and you switch between your heroes with the R2 and L2 buttons. Things get very hectic as you monitor your four heroes and manage them on the fly. I found this aspect to the combat fascinating, and whilst the actual enemies are not fun the act of fighting them is. When you get into a decent flow with the combat it sort of feels like a really good mix between a rhythm and a puzzle game. Heroes of the Monkey Tavern isn’t a massive game, there are eight proper levels to it and these can be boxed off in around five hours. 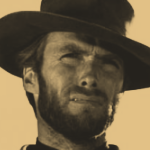 Replayability comes from the difficulty settings, the range of heroes you can chose from and their own unique skills. It is well priced for what you get though and is different enough from other games on the PlayStation 4 to stand out from the crowd. At the end of the day Heroes of the Monkey Tavern is a game I had a lot of fun with. It isn’t without certain issues, the biggest of which is a complex control scheme, however, get your head round these and get past the fact it doesn’t look anything special and you’ll find a truly engaging game. Heroes of the Monkey Tavern is retro to a fault. Despite simple graphics, and generic enemy designs, the actual dungeon crawling works really well and there is a great sense of discovery to it. Whilst not without its faults, there is very enjoyable game here.